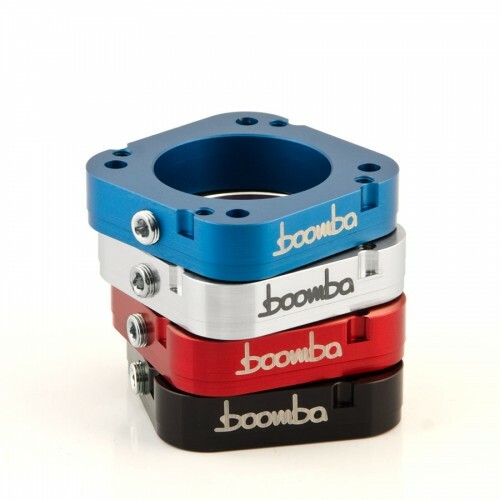 Made from premium billet aluminum, Boomba Racing is excited to announce our Throttle Body Spacers for the Fiesta ST! 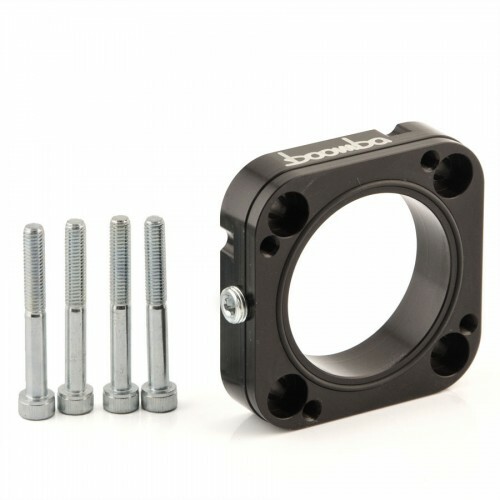 This spacer adds volume to your intake plenum. 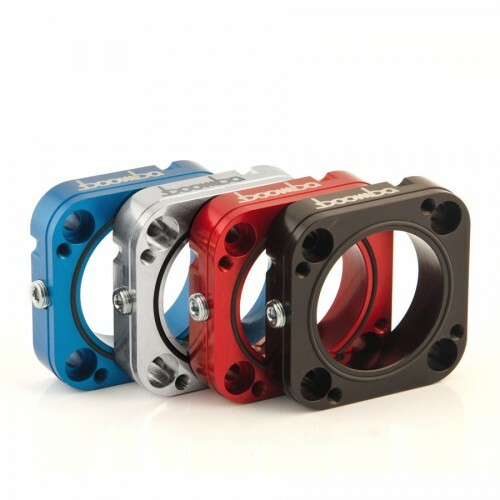 This has been shown to aide in cylinder filling at lower RPM, smooth out throttle response, build boost sooner, and lengthen the effective wave pulse of the intake charge. 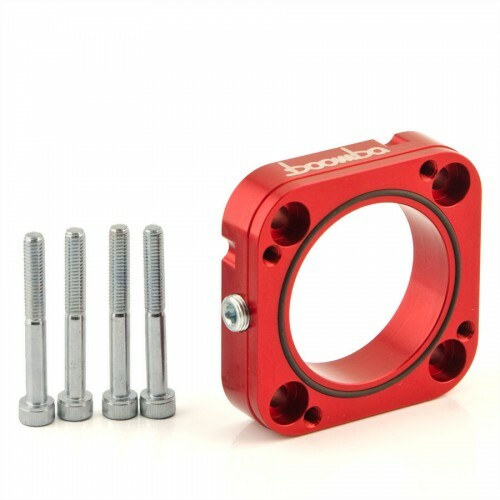 In the picture shown above, you can see the dyno charts of this spacer paired with our intake manifold spacer and the gains are tremendous. Over 17 ft lbs of torque on our Fiesta ST (in using both spacers) and a significant change in the horsepower curve. 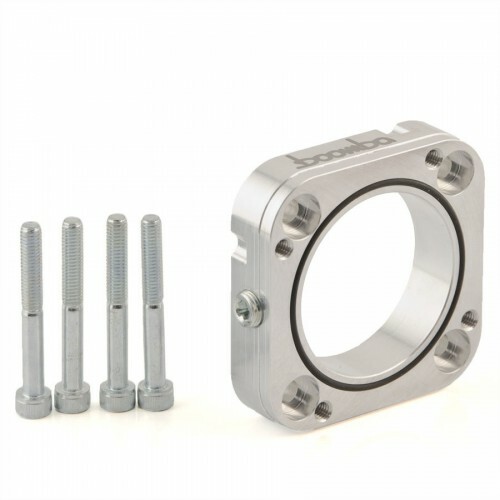 The spacer also includes a 1/8" NPT port that can be used for a variety of purposes. It ships with a plug in the port for those not wanting to use it.